One Regent Manchester is the Manchester new launch apartment in the city centre by Fulcrum Global. Ideally located within walking distance to Spinningfields (Canary Wharf of Manchester), Deansgate Lock (Famous bars/cafes/restaurants), and Deansgate tram and train station. Low investment choice, from £1xxK and only requires 20% upfront payment to invest. A truly international city with 22,000 immigrants making new lives in the city each year little wonder that demand for housing continues to exceed supply. In term of ranking, Manchester is ranked the first for best UK city to live in 2013, 2014, and 2015 by “The Economist”. KPMG also ranked Manchester as the Europe most affordable city. Manchester is home to two largest shopping centre in the UK, the Trafford Centre and Arndale Centre. Manchester Chinatown is the 2nd largest in UK. Largest student population in UK and Europe total about 400,000 students are studying in Manchester and there are approximately 100,000 of students who needs accommodation. This is also the top reason why 80 of FTSE 100 companies is moving their offices into Manchester because of young and energetic workforce in addition to the great infrastructure and cheaper operation cost compare to London. [/vc_column_text][vc_column_text]One Regent Manchester is just within short walk or drive to many amenities and Manchester attractions. [/vc_column_text][vc_column_text]Village at Pasir Panjang is a freehold development located at 417 Pasir Panjang Road, Singapore 118758, in District 05, minutes away from the upcoming West Coast MRT Station. Due to be completed in 2016, it comprises 148 units. Village @ Pasir Panjang is close to National University Hospital and West Coast Park. Facilities at Village at Pasir Panjang include swimming pool, Children Fun Pool, Pool Deck. Numerous feeder bus services are available near Village at Pasir Panjang. It is also minutes ride to several schools, such as National University of Singapore, Anglo-Chinese School, and United World College of South-East Asia. Residents can drive down to the nearby West Coast Plaza shopping mall for amenities such as supermarkets, eating establishments, shops, and more. In addition, it is just a short drive to the Transview Golf Course. * Architectural facade “Black & White” houses of the 1950’s. * Fully functional layout without bay windows and planters. 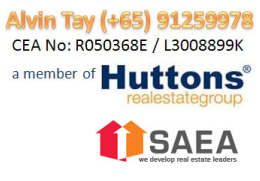 * Huge tenants pool from Science Park, NUS, NUH, Japanese Schools, Alexandra Business Centre, PSA, Jurong Gateway, NOL. * Close proximity to NUS, within 3 minutes walk. * Science Park II within 9 minutes walk. * 24 hours amenities within 3mins walk (Famous prata shop, Nasi Lemak, Mac Donald, 7-eleven). * Surrounded by shopping belts (West Coast Plaza, ARC, Vivo City) all within 5mins drive. * High Demand but Low supply in West region for new FREEHOLD Development. * Beautiful development combines the excitement of a theme park with the relaxation of a resort. * Excellent Investment with High Rental Yield & Capital Appreciation! Situated on 2.35 acres of Freehold land. Low-rise luxury condominiums with an 8,000 sq.ft. “tilted” lawn & distinctive facilities including a 50-metre Lap pool, Children’s pool, Children’s play area, Clubhouse, Gym, and Strolling path. Built-up area ranging from 882 sq.ft to 1,625 sq.ft. Only RESTAURANT are OPEN FOR SALE! The Rise @ Oxley and The Rise @ Oxley – Residences is a cutting edge commercial and residential development that combines the best of two worlds. The Rise @ Oxley – Residences is perfect for discerning individuals appreciate all that life has to offer. Built in a residential enclave that exudes calm and serenity with a view of Fort Canning Park, you will be delightfully surprised at how close the city and all that it offers is. Here, you can truly experience life to the fullest! The Rise At Oxley location is super and hard to come by these days. District 9 already has no more GLS land not to mention a freehold location near Dhoby Ghuat MRT. Developed by Oxley Holding Pte Ltd – Singapore’s SGX listed trusted property developer. Low outlay compare for other older development in the same location which has much bigger unit size. Lower purchase price translate to higher rental return which in return support capital appreciation. [/vc_column_text][vc_column_text]Oxley is a homegrown property developer and is principally engaged in the business of property development and property investment, with an overseas presence across eight geographical markets. The Group has a diversified portfolio with property development projects in Singapore, the UK, Cambodia, Malaysia, Ireland, Indonesia and China and investment projects in Singapore, Cambodia, Malaysia and Japan. The Group also provides project management and consultancy services in Myanmar. Maybank BTL is designed to boost your company’s working capital and no collateral is required to secure the financing.